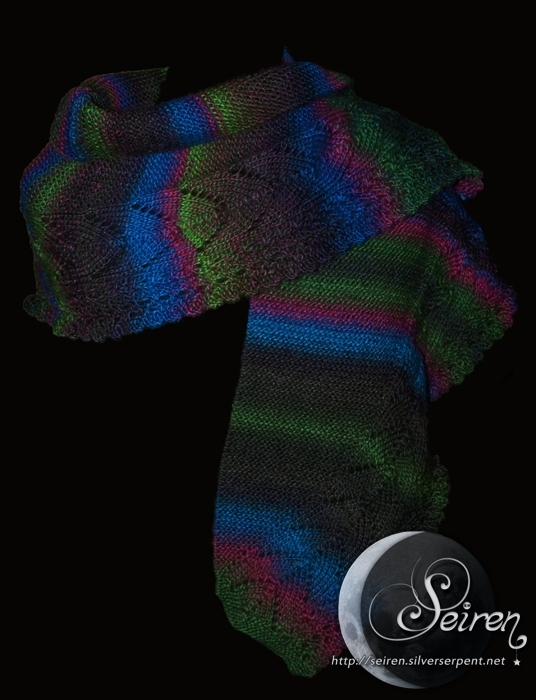 I should mention that “Fantasy” is the name of the yarn I used to make this. It’s a multi-colored yarn, so once again, I’ve only used one kind. I like the idea of the yarn making the color-pattern for me. I’ve also made one of these in blue cotton. You can find it, and read more about the pattern, here.